Israeli Transport and Intelligence Minister Yisrael Katz traveled to the sultanate to offer cooperation on a new international infrastructure project. Katz reportedly traveled to Oman Sunday to present the project of an international railway connecting the Persian Gulf with the Mediterranean Sea via Saudi Arabia and the Jewish state. According to an AFP report, the "Tracks for Regional Peace" initiative aims to thaw frozen Israeli-Arabic relations after two decades of animosity over the growing influence of Iran in the region. The project proposes constructing a railway from Israel's coastal city of Haifa, the country's largest port, to Jordan, with connections to Saudi Arabia's transport system and Oman. 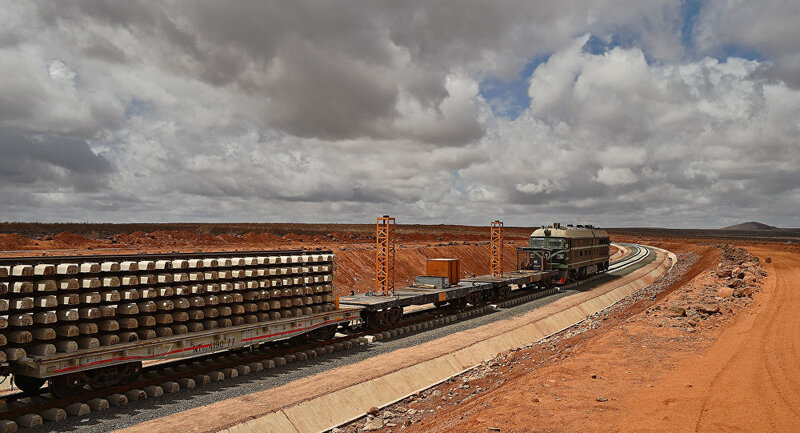 Back in 2016, Israel opened a newly-built railroad extending toward the Jordanian border, constructed along the route of the century-old Ottoman Empire Jezreel Valley railroad. However, the railway ends just one mile short of the border with Jordan. During the Ottoman times, the railroad connected Haifa to the Hejaz railway, which ran from Damascus, Syria, to Medina (now part of Saudi Arabia). After the empire collapsed, the Hejaz railway was split between several different states, which could not maintain the system properly. The creation of the state of Israel in 1948 further disrupted the railway, and after the Six-Day War of 1967, the railroad restoration plans were entirely abandoned. Today, only two parts of the line function, one of them connecting Damascus to Amman in Jordan, and the other one servicing the Ma'an phosphate mines in Jordan. Last month, Katz said he presented the railroad plan to German Chancellor Angela Merkel, who expressed interest in participation, according to AFP. Katz's trip to Oman follows Israeli Prime Minister Benjamin Netanyahu's October visit to the sultanate, which was the first by an Israeli prime minister in more than 20 years. As Israel seeks to improve its relations with the Arabic world, its culture and communications ministers also visited the United Arab Emirates last month. Presently, Tel Aviv has diplomatic relations with only two Arab nations — neighboring Egypt and Jordan. Of course, Israel's occupation of Palestine remains a large obstacle to its diplomatic endeavors. 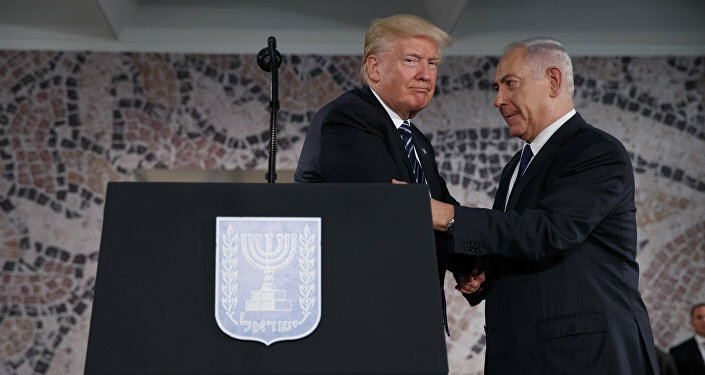 However, both Netanyahu and the Trump Administration believe that the Israeli-Palestinian impasse can be solved by normalizing international relations with Arab nations first. On Monday, US President Donald Trump's Middle East envoy Jason Greenblatt lauded Katz's visit to Oman, tweeting: "These efforts support our efforts." — Jason D. Greenblatt (@jdgreenblatt45) 5 ноября 2018 г.